If you run or plan to start up a vehicle rental company, there are certain issues which require serious attention and careful approach. Leave alone the finance and other legal hazards. There are issues regarding safety, theft etc which are far more disastrous. Who in the world would like to have their cars stolen or lost? A good car tracking system in Qatar can guarantee your car’s safety thereby offering you abundant peace of mind. Certainly there’s more to gain from installing a simple car tracking system for your vehicle. Accurate information on the vehicle location is possible through the use of car tracking systems. 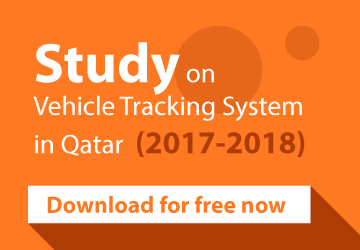 Technology has made it possible for the rental companies to know the exact vehicle location even to the location on a street, thanks to the sophisticated car tracking systems in Qatar which are popular and ubiquitous. They enable the user to automatically detect the vehicle position with the combined help of satellite position data and software which collates the fleet data of a particular vehicle as detected from different locations at definite time intervals. Live car tracking systems thus guarantees the user safety of the vehicle as well as the passengers. Most of the cars tracking systems utilize the GPS (Global Positioning System) or the GLONASS (Global Navigation Satellite System) technology. GPS is developed by United States and is available for public use since the 80s. GLONASS technology is developed by the Russians and is being used frequently nowadays. The European Union is currently developing the GALILEO a global navigation satellite system with high precision. China is also trying to establish an indigenously developed global navigation system, BeiDou. Universal car tracking systems which can switch over from one to other global navigation systems as well as utilize any of the available technology are a real boon to the rental companies. 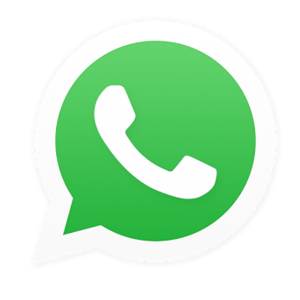 They can plan to initiate the venture on a global scale without many hassles. Major automobile giants such as Ford and Toyota have already integrated car tracking systems in Qatar which are compatible with both GPS and GLONASS technology in their latest models. Although originally developed for military purposes, the satellite based navigation systems have found a place in the main stream society in many applications. The systems are widely used in smart phones and car tracking systems across the world. Similar is the case of smartphone mobile integrated chip manufacturers such as Qualcomm. Such uniformity and integration in underlying technology is truly making the world as one. Car tracking systems have considerable edge over smart phones since the latter relies on signal strength for accurately transmitting the data. A good car tracking system therefore gives the benefit of functioning under all circumstances even in remote areas where smartphone or internet based communication is not feasible. A car tracking system combines the vehicle location data in individual vehicles with software to collectively analyze these fleet data to generate an elaborate picture of vehicle locations. Vehicle information can be viewed on electronic maps with the help of Internet or any dedicated software. Car tracking systems are therefore extremely beneficial in locating the vehicle in case of accident, theft, natural disasters or any such unexpected emergencies. The system can assist the rental companies in better fleet management, ensuring passenger safety, prevention of theft and in some sophisticated automobiles like driverless cars to remotely access the control mechanism.